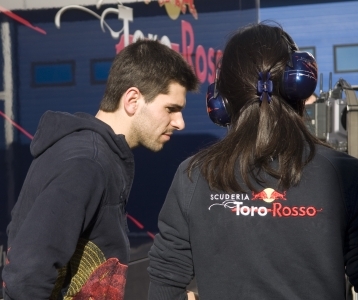 A few words with Jaime Alguersuari, the youngest formula 1 driver in history and friend of Mark Megens Osorio, Marbella´s own Karting champion. Jaime told i-Marbella that he started Karting at 7 years old and has been on the track ever since. A native Spaniard born in Barcelona, he told us that he learnt to speak his impeccable English after a stint studying in Ipswich (UK). 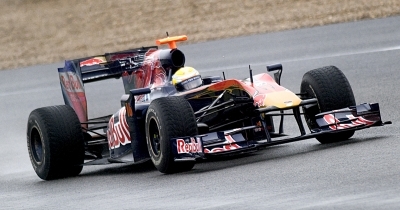 Although he realizes that is means a lot to be the world´s youngest Formula 1 driver he realizes that he has to keep developing, win a lot of races and that he always has to keep delivering and improving his performance. "Being at my age a F1 driver is a privilege that requires me to become better every single day. " Jaime is highly motivated for the up and coming season and said what a great feeling it is to be a driver for Toro Rosso and alongside Sébastien Buemi. A man with a good head on his shoulders and a lot of talent, from i-Marbella we wish him all the best and are looking forward to following his career. Another Fan of Jaime and Mark. Good luck bodies for 2010. Pin It! Results from four Day training in Jerez.